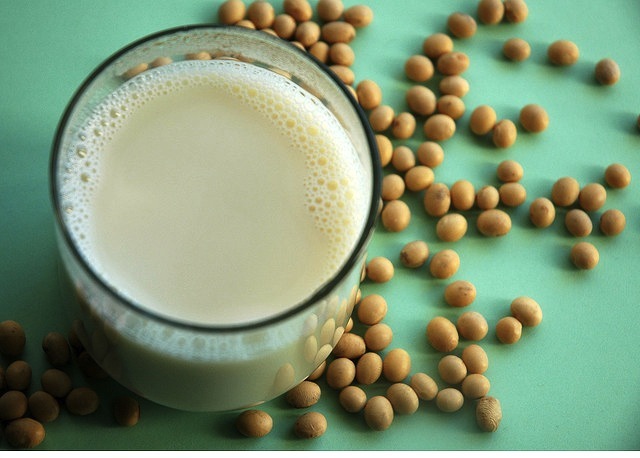 I enjoy soy milk and when shopping I usually choose an organic unsweetened variety. How about you? If you don’t like the characteristic taste of plain soy milk and prefer the sweeter flavored ones, I have great info to share with you! 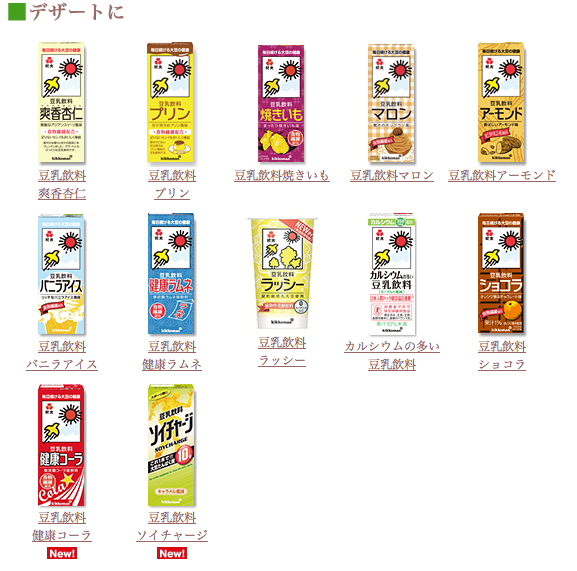 One of the best known Japanese soy food product makers, Kikkoman, has a wide variety of flavored soy milk. Actually, one of my friends is working on a project to gradually sample and critique all flavors! 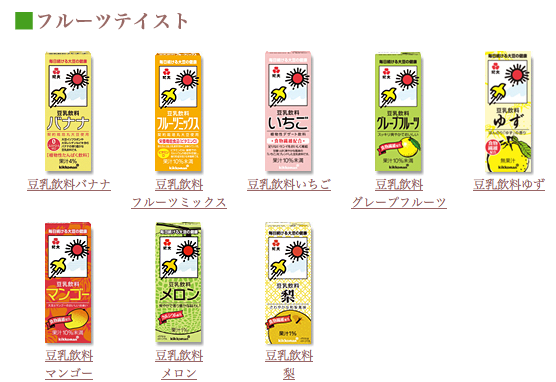 Here are his personal impressions for some of the Kikkoman offerings . Sweet read bean soup: No way! Cocoa: “No”. It doesn’t have any cocoa flavor! Yuzu citrus: Unexpectedly, “yes”! Refreshing. Chestnut: No way! No way! Too sweet! Baked sweet potato: “No”! This is also too sweet. Healthy cola: It’s like cola without soda. Surprisingly “yes”.